The national car company remains handicapped by lack of scale, overcapacity, outdated technology, a limited product lineup and lack of exports, analysts say. The on-again, off-again, back-again courtship dance between Volkswagen AG and Proton Holdings Bhd, under way since 2004, is gone again, leaving Malaysia’s No.2 national car company facing an uncertain future without a foreign partner. “The termination of negotiations by Volkswagen is a big and embarrassing setback for Proton, which has a dire need for a strategic alliance with a foreign auto maker,” says Christoph Domke, a senior analyst with IHS Global Insight. Company managers now talk bravely about collaboration or a partnership with other foreign auto makers such as China’s Youngman Automobile Mfg. Co., Renault SA and Mitsubishi Motors Corp., as well as unnamed car companies in India and Iran. Australia’s Herald Sunnewspaper in Melbourne is reporting Proton is poised to sign an agreement with Mitsubishi that would see the Japanese auto maker get access to the Malaysian car company’s small cars and factory, while Proton would tap into Mitsubishi to improve its technology, quality and vehicle designs. Such a venture would help Proton break into the global market with a credible partner it knows well from a former partnership in the mid-1980s. But few details are known, with the newspaper quoting John Startari, CEO of Proton Cars Australia Pty. Ltd., as saying the deal remains confidential for now. 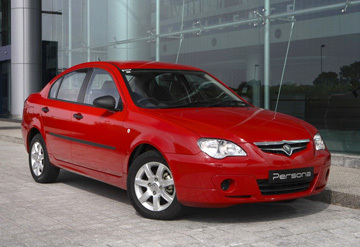 Earlier attempts to negotiate partnerships with General Motors Co. and PSA Peugeot Citroen, as well as Volkswagen, all have foundered, primarily because Proton managers and government leaders were unwilling to cede control. And some industry experts doubt whether any new deal will materialize any time soon, if ever. For years, both Proton and Perusahaan Otomobile Kedua Nasional Sdn Bhd (Perodua) have led charmed lives as national car companies, indulged by the Malaysian government and over-protected behind a wall of tariff and non-tariff barriers, tax exemptions, rebates, subsidies and other special favors. Last year, for example, participation in the country’s scrappage program strictly was limited to the two national car companies. As recently as 2002, the two auto makers, both focused on passenger vehicles, held 78.6% of the domestic-market segment. However, their combined share has fallen to about 58% today, with more than 30 foreign makers now in Malaysia competing for the remainder. Perodua, in a joint venture with Daihatsu Motor Co. Ltd. and benefitting from Japanese management skills and modern technology, has no real need for such privileges and coddling. In 2006, the auto maker passed Proton to become Malaysia’s largest vehicle maker. This year through April, it accounted for 32.4% of total vehicle sales and 36.2% of the passenger segment. In contrast, Proton’s market share has slipped steadily downward from a peak of 57% in 1993. Through this year’s first four months, the auto maker earned only 26% of total sales and 29% of the passenger segment. Proton remains handicapped by lack of scale, overcapacity, outdated technology, a limited product lineup and other disabilities as the Malaysian economy begins to recover after a buffeting from the global recession. The World Bank is forecasting 5.7% growth in Malaysia’s gross domestic product this year, following a negative 1.7% in 2009. The Malaysian Automotive Assn. is calling for a 2.4% rebound in vehicle sales to 555,000 units, after a 2.3% drop in 2009. J.D. Power Asia-Pacific anticipates a 2.9% decline in Proton sales to 143,739 in 2010, far below installed capacity. The auto maker’s main Shah Alam plant can turn out 230,000 vehicles annually, while the newer Tanjung Malim facility, built in 2003 with design capacity of 1 million units, is equipped to produce 100,000 units a year. To sop up some of the excess capacity, Proton managers are adopting what they call an Asian multi-local OEM strategy focused mainly on expanding exports into Southeast Asia, China, India, the Middle East and North Africa. How well this will work is questionable given the intensifying competition among global auto makers for export sales, the models Proton has to offer and the minor role of exports so far in the auto maker’s operations – 13,863 units shipped in 2009, for example. Malyasia’s revised National Automotive Policy (NAP) that took effect Jan. 1, ostensibly to deregulate the domestic industry, attract more foreign auto makers and establish Malaysia as a springboard into the 10-member Association of Southeast Asian Nations, is not likely to meet government expectations either, industry experts say. They emphasize Thailand and Indonesia offer more attractive terms to auto makers looking for a manufacturing base in an ASEAN country. Cynics maintain the NAP revision primarily is designed to strengthen the position of the national car companies, especially Proton. Nor is it clear how Malaysia and the other three vehicle-producing nations in ASEAN – Thailand, Indonesia and the Philippines – will respond to the regional drop in tariffs Jan.1, from the current 5% to 0% on cars they export to other ASEAN members. “Malaysia is probably the most vulnerable as pressures increase from Thailand, which is moving into eco-car production and competing more in the small-car market,” says Domke. “Malaysia has import permits and import quotas and can impose high excise taxes on imports as well,” Arthapan adds. Although some industry experts believe Proton cannot survive without a foreign partner, the auto maker is in no immediate danger of going under. In the last fiscal year ended March 31, the company reported a net profit of 239 million ringgit ($72.4 million), a welcome turnabout from a net loss of MR301 million ($91.2 million) for the prior year. Additionally, Malaysia still is the largest market in ASEAN for small cars. With its three core models – the Persona and Saga sedans and Exora MPV – selling reasonably well and government protection intact, Proton’s position appears to be secure, at least for now.